Take a stroll through the heart of NYC. A little over two years ago, I took advantage of a beautiful April day much like today and traveled into Brooklyn. 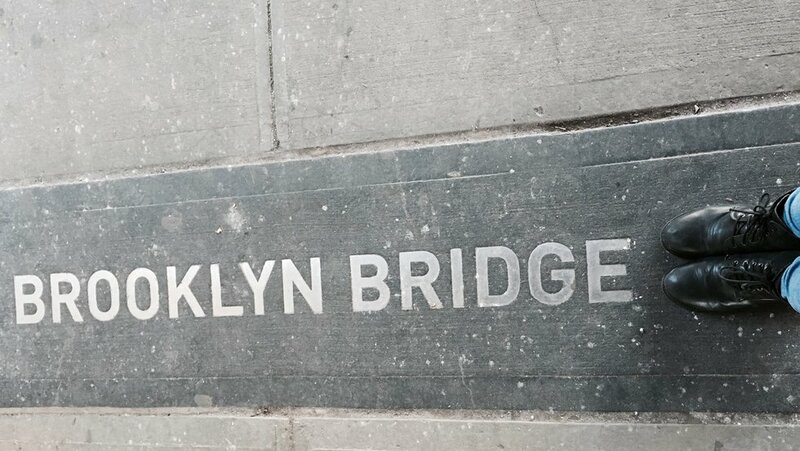 I had finally planned on walking the world-famous Brooklyn Bridge and was rather excited. Surprisingly enough, the views topped any "free view" you could get of Manhattan and its surrounding boroughs. For this reason alone, I highly suggest that even people who have visited the One World Observatory or Top of the Rock to take a stroll on this bridge just for the views. Expect a decent amount of crowds on both sides of the bridge (Manhattan and Brooklyn) depending on how nice the weather is. It is also somewhat windy up on the bridge, so bring a light jacket if you tend to get cold fast, as the walk is approximately 1.3 miles. For me, I wore a t-shirt, jeans, and a leather jacket and it is was about 55 degrees and windy if that puts things into perspective. Also, if you are worried about walking the bridge for any health reasons, there are several benches on the route to relax on but please note that there aren't bathrooms on the bridge. I went around noon on a weekend and there was definitely a good amount of crowds but if you are looking to avoid crowds do not go in the mornings or weekends. However, for the best photographs definitely go late afternoon to catch a glimpse of the sunset! There are several guided tours both on foot and bike that run every day on the bridge. Below I have listed some popular tours available to look into if you would rather be in a more organized group setting for your trip. Brooklyn Bridge, Brooklyn Heights & DUMBO Tour – Daily at 9:45 and occasionally in the afternoon. Inside Out Tours -- A two-hour walking tour of the bridge. Brooklyn Bridge Sightseeing -- 9 AM daily tours starting from the South Street Seaport. 911 Memorial and Brooklyn Bridge Night Tour – Runs several evenings a week from April-October. Overall, walking the Brooklyn Bridge was such a great experience and I encourage every New Yorker and tourist to walk this bridge. Also, there are some other great bridges open to pedestrians in the area such as the Manhattan Bridge and the Williamsburg Bridge if you are feeling extra adventurous!